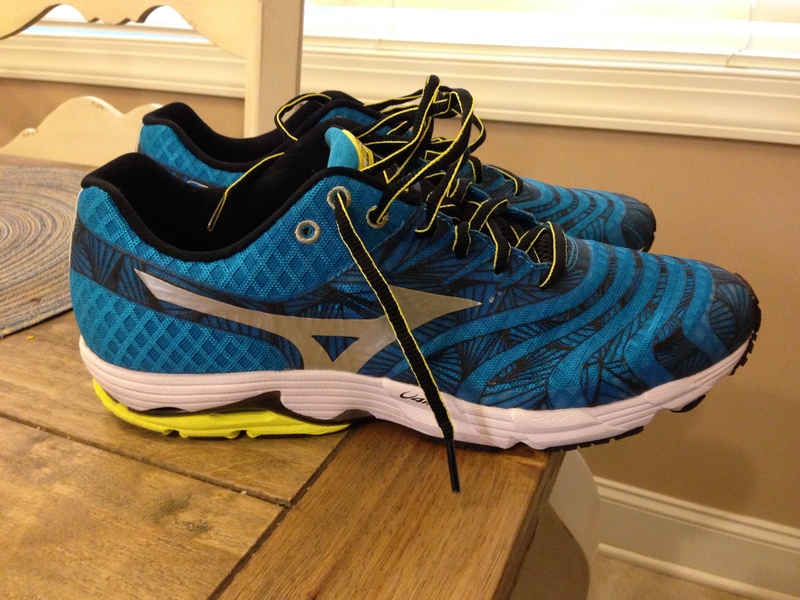 I’ve recently replaced my Brooks shoes with Mizuno shoes for road running. I still use Salomon Sense Mantra on the trails but am interested in trying other brands for longer trail runs (the new Mizuno trail shoe, the Wave Hayate, intrigues me—anyone tried it yet?). I’m kind of strange. When I choose a brand for my road running shoes, I tend to try to absorb the company vibe, explore their community as it were, and become a quick study on the culture of the brand. I ran my first marathon, Disney in 2009, in Mizuno Wave Renegades. But for 4 years and 20-something pairs of shoes, Brooks treated me right. When I was heavier, I went though several pairs of Brooks Beasts. 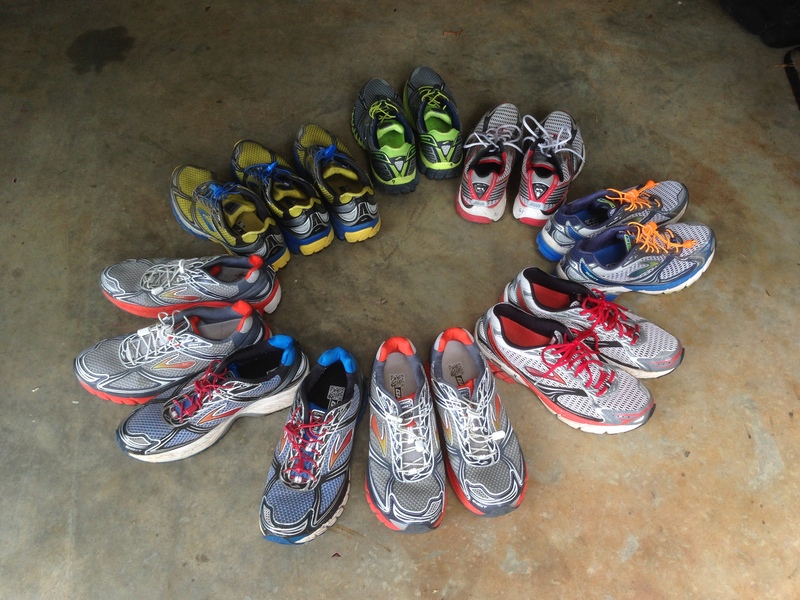 As I lost weight and transformed my running style, I transitioned into Brooks Trance for a few pair, eventually moving into the Ghosts (and Launch) for the last 3 years. 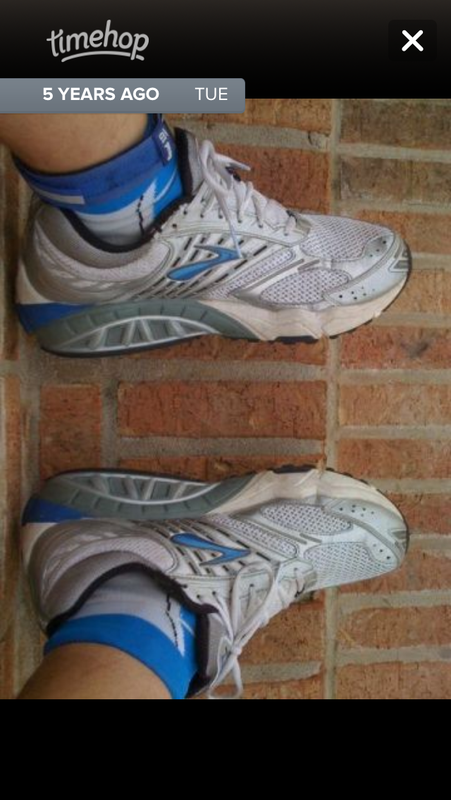 The Ghost was my go-to shoe for marathons and heavy mileage weeks. Then the Ghost 6 arrived and I was engineered out of the shoe. I’m not sure what it was, but over a 10 day period last summer after I started running int he Ghost 6, my runs just didn’t work, my legs felt spongy, and my feet felt off. So I went back to the Ghost 5 for the summer and my fall marathon last year. It worked out well. I was back in a shoe I knew well, and since it was an older model I could buy two pair of the old model for the price of a new one. It was then that the Mizuno Wave Sayonara came out and made quite a splash. And Mizuno were in the process of phasing out the Wave Precision 13. I bought both shoes; the precision on clearance and the Sayonara at full price. 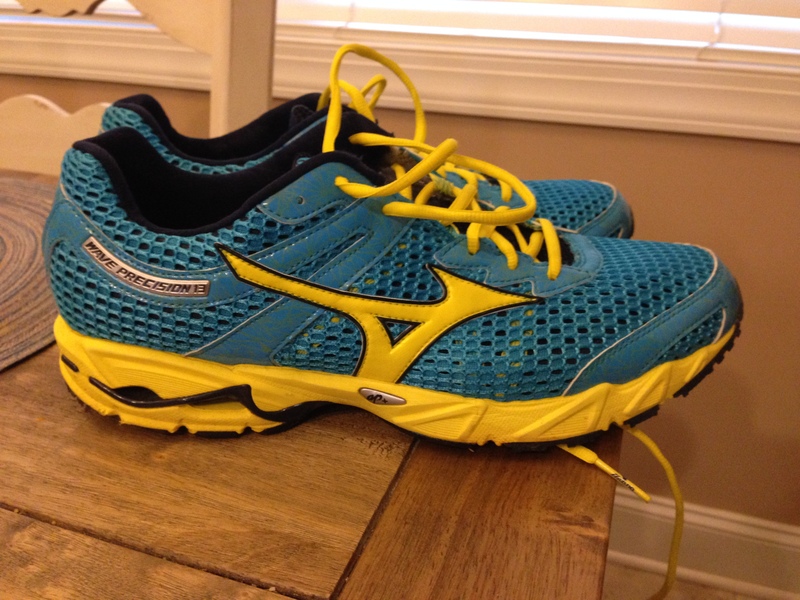 The Sayonara took some time to get used to, but the more miles I ran, the better the felt. I also fell in love with the Precision 13 right out of the box, and am sad that model is retied, it just felt so good. In March, I bought the Wave Rider 17, as a treat waiting for me to recovery from inguinal hernia surgery. These shoes feel light and nimble, but sturdy enough that I can see running marathons in them. Mizuno, for now, is my shoe. They’re working well. The more I learned about Mizuno, the more I became impressed with the way they marketed their shoes. A little research exposed a wonderful organic and not-expensive marketing strategy employed by Mizuno. This is a long prologue for a series of posts about Mizuno’s marketing efforts over the past three years. I’ve written before of my first college degree in Marketing (before going on for a Ph.D. in History), and that I find the process of selling a brand to consumers quite fascinating. One of my favorite marketing classes was called “Promotional Strategies,” taught by Herb Rotfeld at Auburn University in my senior year, 1989. A hard course with a demanding professor, I thought if I ever went into the business world, it would have to be in the marketing side of things. 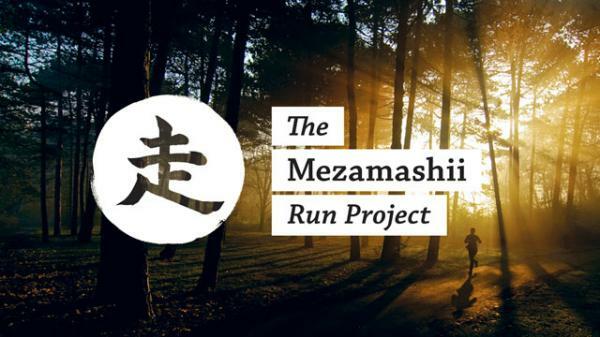 Faced with a small promotional budget, Mizuno had to find a way to not only maintain their market share in the running shoe universe, but also try and carve out some growth through a grassroots promotional strategy fed from above with perks and product. With just under 10% of running shoe market share in the US in 2010, Mizuno lacked the big box store presence of brands like Nike and Adidas. Relying on specialty shops that catered only to elite or advanced runners was not pushing them into a higher market share. Something had to change.